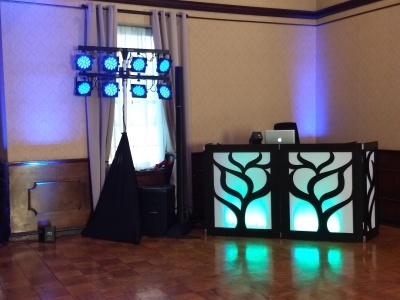 Bring the WOW to your event with one of our awesome "add-ons". These enhancements will transform ANY rood. Trun the same old, same old into a magical place where your dreams come true! 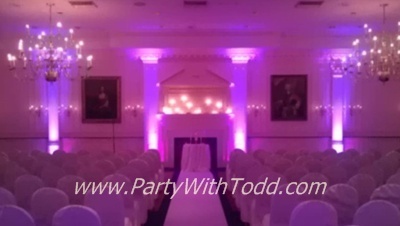 Uplighting can bring your fairytale to life. Transform a simple room into a sensational one. 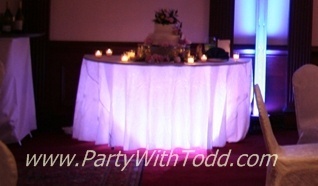 Colors can add a wow factor like nothing else. 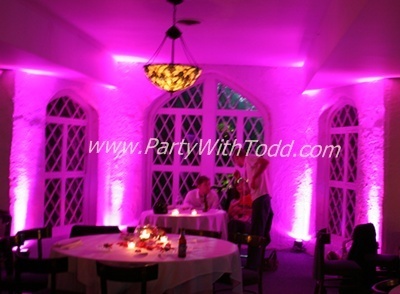 Up lighting can be added to walls, curtains, statues and almost anywhere that you would like to make "pop". 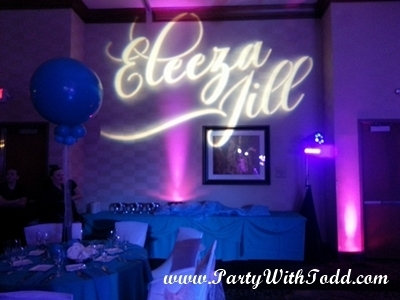 Put your name up in lights with a Party With Todd custom monogram. 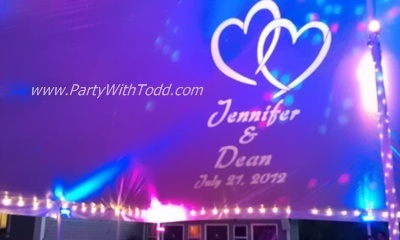 Depending on the room or in some cases, tent, where your event is, will depend on where we can place your monogram but no matter where it is you can be sure it will be beautiful. 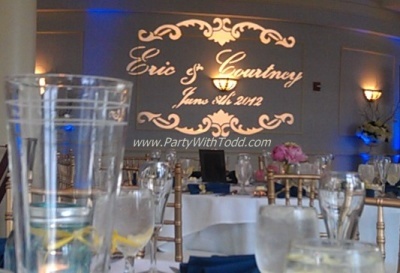 Choose from hundreds of different fonts, graphics and designs. 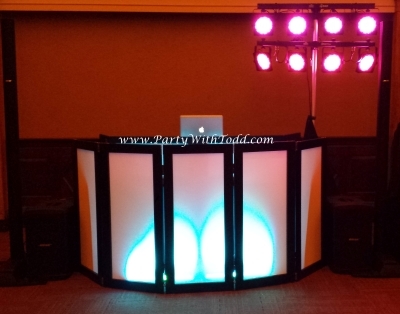 Add more WOW to your event with our very classy light up DJ booth. 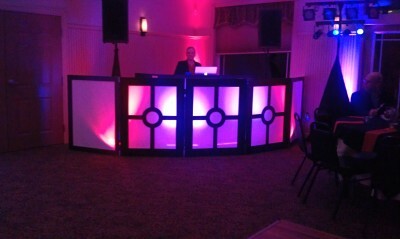 A solid wash of color or we can let it flash with different colors to the beat of the music. 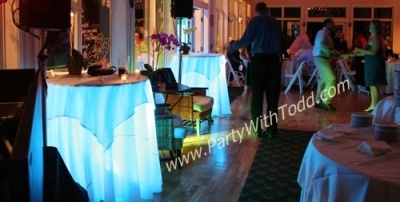 This enhancement can be lit up with the colors of your event. 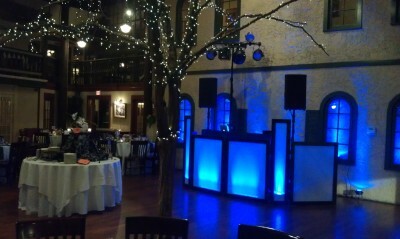 We will let the pictures speak for themselves. 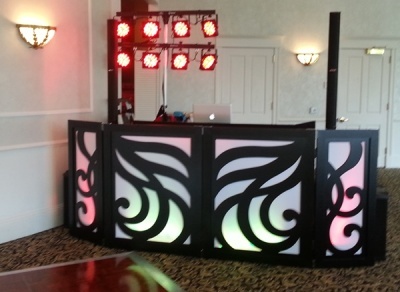 Your guests will love the look and feel of the full sized light up DJ booth from the moment they walk in the room. 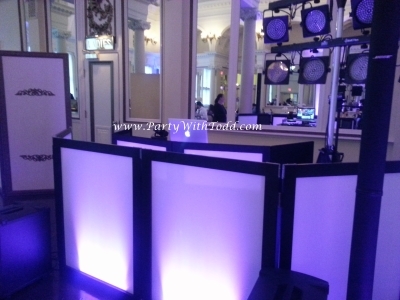 Dance club lighting packages! 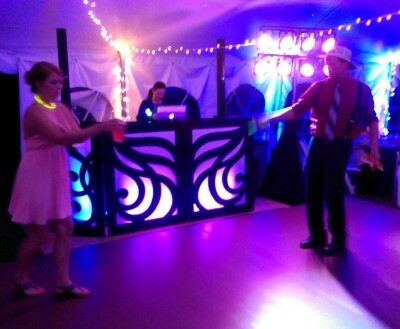 If you want to add energy and pizzazz to your event ask us about our dance club light packages. 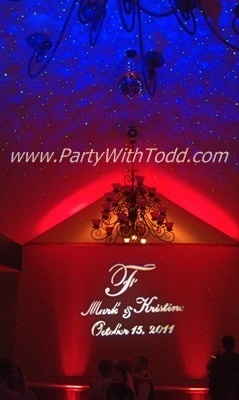 Intelligent lighting, fog, lasers, flashing, twirling, spinning and filling your event with hundreds of colors around the room. 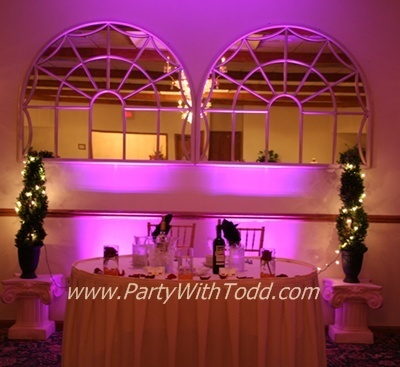 Looking to have a NY City style or a Hollywood permierstyle event. Talk to us. 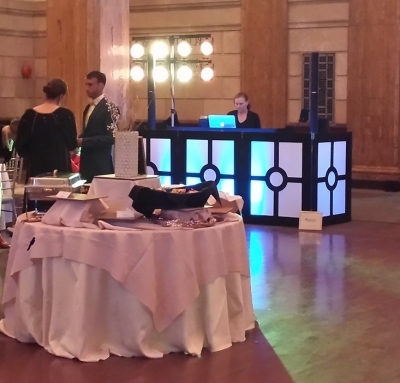 These are just a FEW of the MANY event enhancements that we offer. 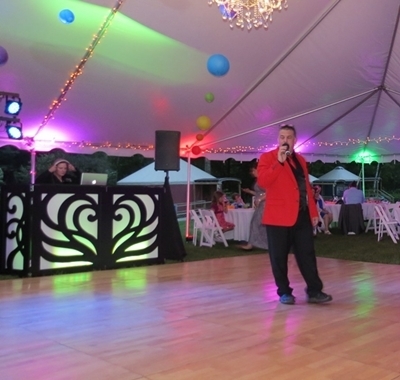 Schedule a 'meet and greet' to see the full line of offerings that we can provide to create a fairy tale or dance club style experience at you event!